Major works performed include Mahler's Symphonies 1,2,3,5, & 6. The monumental Symphony No. 2 ‘Resurrection’ was performed in June 2008 with an orchestra of 116, chorus of 250 including singers from Brittany and Paris, and soloists Ros Evans (Soprano) and Kate Woolveridge (Mezzo Soprano). Other works performed include all four of Brahms’ symphonies; Saint-Saens' ‘Organ Symphony; Richard Strauss’ An Alpine Symphony, Don Juan and the Festival Prelude for Organ and Orchestra (soloist Jeffrey Howard): Elgar’s Symphonies 1 & 2: Rachmaninov’s Symphonies 2 & 3; Shostakovich’s Symphonies 5 & 7 ‘Leningrad’; Vaughan Williams’s A London Symphony (in its rarely heard 1920 version) and Stravinsky’s The Rite of Spring. In October 2017 CPO performed Stravinsky’s Petrushka to much acclaim. CPO performed the Welsh premieres of Sir Arthur Bliss’s ballet Checkmate and film score Things to Come. Works performed by Welsh composers include music by Alun Hoddinott, William Mathias, Grace Williams and Gareth Wood. In October 2013 CPO performed the UK Premiere of The Ring Without Words, music from Wagner’s epic Ring cycle compiled by Lorin Maazel. Overseas tours include a three-concert tour of Switzerland in 1996, followed by a tour of France in 1998 that culminated in a concert in Paris’ premier concert venue, the Salle Pleyel. After the success of this tour, CPO was invited back to Paris to perform the final concert of the British Millennium Festival in the historic Eglise de la Madeleine (where Saint-Saëns and Faure were Directors of Music, where Franz Liszt performed a recital, and where Faure’s Requiem was first performed). In 2007 the orchestra performed two concerts in Cardiff’s twin city, Nantes. 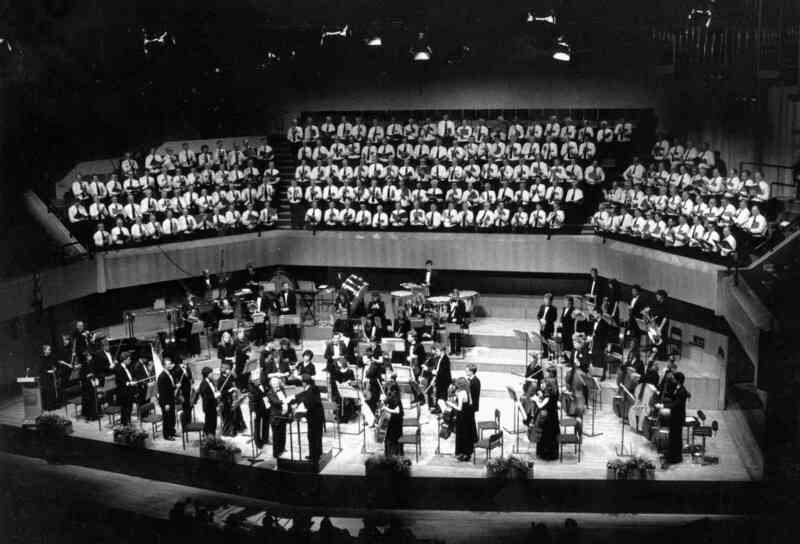 In December 1983 Cardiff Philharmonic Orchestra became the first non-professional orchestra to perform at St David’s Hall, Cardiff. CPO currently performs an annual series of concerts at the hall, in addition to performances in the Welsh Proms. 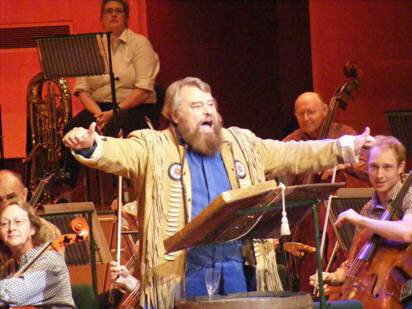 Cardiff Philharmonic Orchestra has performed the popular ‘Family Prom’ since 2000 alongside guest presenters including Brian Blessed, Dave Benson Phillips, Aled Jones, Zoe Salmon, Barney Harwood, Wynne Evans, Mike Doyle, and in 2017, Connie Fisher. In addition to St David’s Hall the orchestra has performed at Swansea’s Brangwyn Hall, Neath’s Gwyn Hall, Brecon’s Theatr Brycheiniog, and the Miners’ Institute Blackwood. CPO’s annual visit to the 500 seater Follies Theatre in Folly Farm has helped raise tens of thousands of pounds for a number of good causes. In 1994 Neil Kinnock joined CPO as the narrator for a sellout performance of Jeff Wayne’s The War of the Worlds. In 2006 Welsh Composer Sir Karl Jenkins conducted CPO in a performance of his hugely successful ‘The Armed Man’ in the orchestra’s debut appearance at the Wales Millennium Centre. In October 2016 CPO was joined by Welsh actor Michael Sheen, at St David’s Hall, in the world premiere of Bernard Kane’s Mr Dahl, as part of the city’s Roald Dahl’s centenary celebrations. Broadcasts include televised concerts from the Welsh Proms, Texaco Young Musician of Wales and an ITV Wales documentary following the orchestra’s tour in 1998. The orchestra has also been broadcast as part of BBC Radio 3’s Listen-Up Festival in 2006 as well as more recently in 2013. Michael Bell has conducted almost all of CPO’s 330 concerts. Other conductors with whom the orchestra has performed include composer Sir Karl Jenkins, Gareth Jones and Tianyi Lu, recently appointed Assistant Conductor of the Melbourne Symphony Orchestra. In January 2018 John Quirk will conduct CPO at St David’s Hall in an evening of Classic Elvis. CPO was led by Paul Lewis for 24 years until October 2006. Paul was succeeded as leader by Claire Frankcom until June 2009 when Jill Francis-Williams became leader of the orchestra.